Last update 13/04/2019 by Eric Malcomson. There is a £100 Membership fee for registration which will be refunded if we cannot provide a service. As at Sat, 20 Apr 2019 18:16:43 GMT - 666 people signed up, 645 properties installed. TVB have a Ticket System to better support our members and audit our help line. Visit our Support pages for details. Abthorpe Broadband Association Limited - a not-for-profit limited by guarantee company - has been delivering broadband to the communities of Abthorpe and Slapton since 2003. 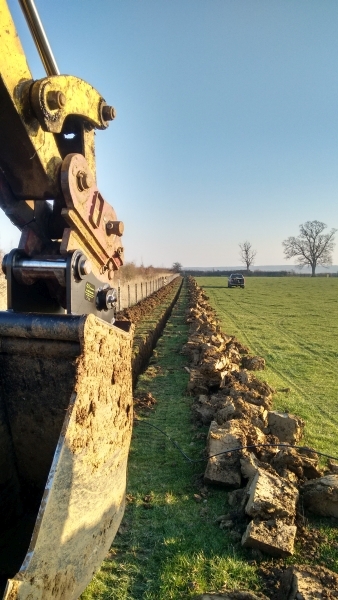 The work to deliver superfast broadband to the upper Tove Valley - from Foscote and Bradden to Wappenham and Weston - was completed at the end of March 2015, costing about £230,000. We received £108,658 in grant from the government and European Union's Rural Communities Broadband Fund towards these costs. Tove Valley Broadband or TVB as it has come to be known, brings a fast 1,000Mbps symetrical fibre-optic service into the villages and distributes connections to properties by radio. To reach more out-of-the-way properties, farms and businesses we use radio pipelines. These are the most efficient, cost effective ways of delivering superfast broadband services in a rural area. Our service delivers 30 to 90Mbps download and upload and is unrestricted. We have undertaken to lay fibre-optic cables to our small business enterprises using the government's Gigabit Voucher Scheme to help with finance. This service is directly on our fibre backbone and delivers 1,000Mbps symmetrical. More information here The picture on the left shows typical trenching to place armoured fibre-optic cables to service these locations. The Superfast project is supported by the Rural Development Programme for England, for which Defra is the Managing Authority, part financed by The European Agricultural Fund for Rural Development: Europe investing in rural areas.